Aren’t these pictures beautiful?! I gotta give a shoutout to my awesome husband for taking these photos. We’re both improving our photography skills, but he is far more skilled than I. You’d never know it because it turned out great, but these actually didn’t come out looking right. 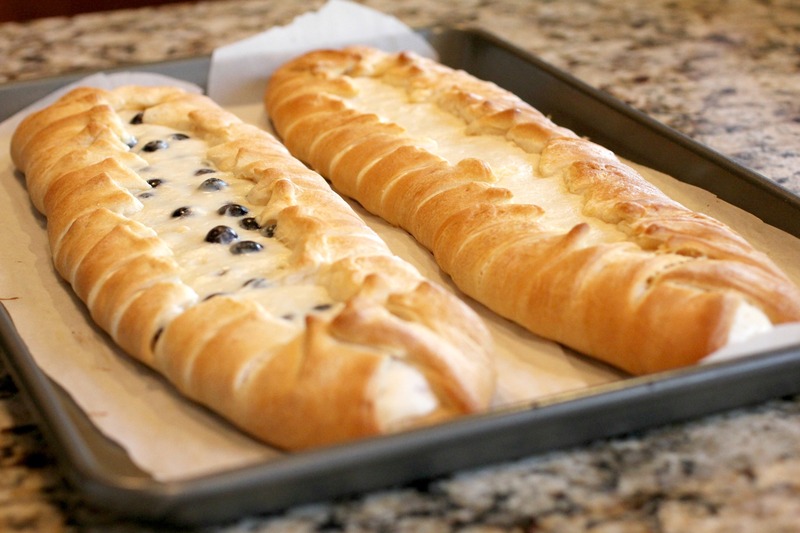 They’re supposed to be braided on top, but somehow the dough came apart while baking. I just want you to know that when you prepare it, the dough is in fact supposed to be braided together over the cream cheese filling. Apparently mine weren’t pinched tightly enough and came loose. 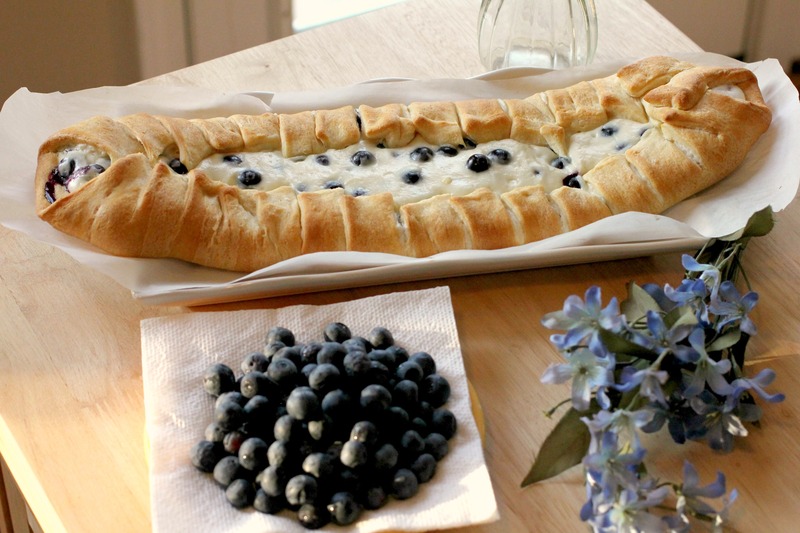 This cream cheese danish is unbelievably simple! It’s great as breakfast or as dessert. Honestly, pastry is good for any time of the day, under any circumstances. I made this before church one morning to take to my Sunday School class, and I definitely appreciated how quick and easy it is to make. It actually took us longer to take photos than it did to prepare and cook! This recipe also includes icing to drizzle on top. It was good, but it’s definitely not necessary, as the Danish is already sweet and delicious without it! So if you don’t have the ingredients for the icing, you don’t really have to buy them (unless you want to, because icing is always a good bonus). (optional) 1 c of berries - strawberries, blueberries, raspberries, blackberries, etc. whatever you want! Preheat oven to 375 degrees F. In a small bowl, combine cream cheese, sugar, flour and vanilla. If using fruit, mix it in as well. Set aside. Unroll crescent dough, separating it into 4 rectangles. On an ungreased baking sheet, lay the crescent roll rectangles together, lining them up with their long sides touching, and pinch together the seams. 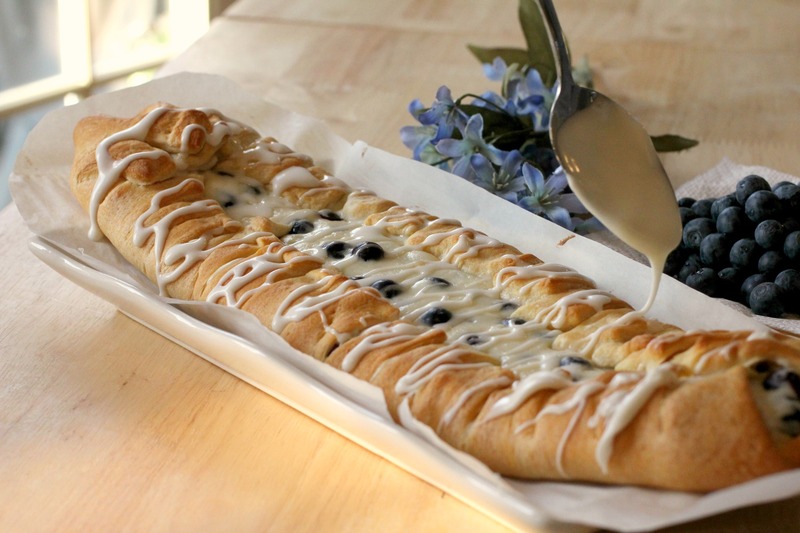 Carefully spread cream cheese filling down the center of the dough to be about 2-3 inches wide. Bake for 20-30 minutes or until filling is set and crescent dough is golden in color. Once danish has cooled, remove to serving platter. In a small bowl, mix together powdered sugar, vanilla and cream to create icing. You may need to add more cream to get the desired consistency. Drizzle icing over danish. Thanks for presenting “normal” cooking rather than ideal photos that appear as magazine clippings. This is exactly what most of us experience in the kitchen as our family runs in and out, the phone interrupts, or just the everyday happenings of life occur. I rather prefer this look to the structured braided effect It’s different, original and shows all the yummy contents held in the delectable crust enclosure You may have started a new trend! Enjoy your blog tremendously! BTW: Good job photographing by the hubby ! 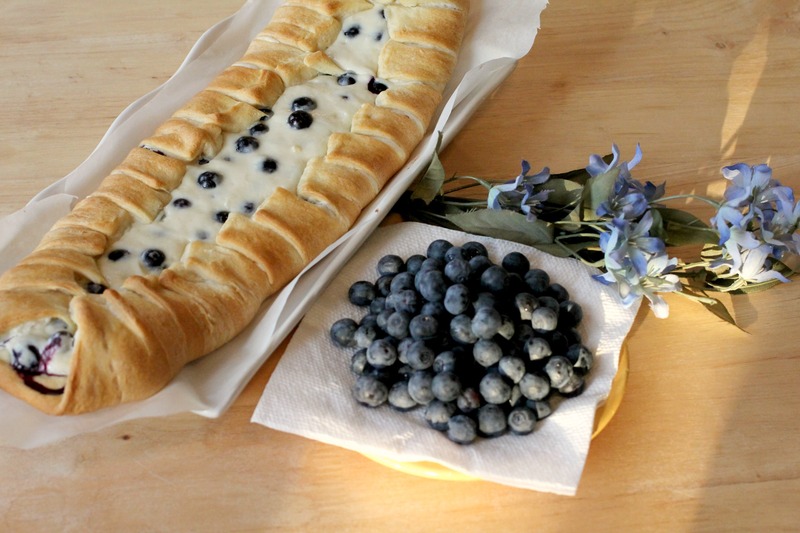 Love the idea of one big pastry danish and cutting it up, perfect family food for Easter! Good GOD, this looks delicious. Thanks for the feedback, Kelley! And that’s so sweet that you make food for your friends!